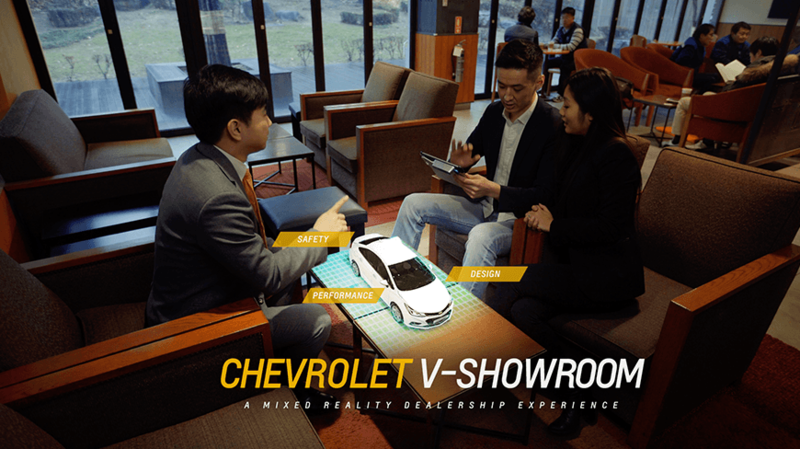 Isobar and Carat have launched a first-of-its-kind, Mixed-Reality dealership for long-standing global client General Motors International (GMI). The mixed-reality (MR) application provides an augmented dealership experience for consumers, enabling them to virtually experience a car showroom – anywhere and anytime. This platform pushes the boundaries of the typical augmented reality experience and aims to simplify and enhance a consumer’s experience when shopping for a car, without physically being in a showroom, especially when a dealership is too small to fit the full portfolio of car models. Launched in May this year in 110 GMI dealerships across South Korea, V-Showroom is available in multiple languages and can be localised for future implementation across more markets. As MR technology looks set to become more wide scale and accessible, consumers could be looking at a future where they could potentially download the showroom into their own homes as well as fully customise their vehicle, from alloys and trims to interiors.